Sutton-on-the-Forest is an attractive village 8 miles North of York. The name Sutton probably gets its name from “Sut” meaning South and “ton” meaning town. In the 11th Century it was called “Sudtone”, in the 13th century Sutton Sub Galtris and in the 14th Sutton-in-Galtres. Now, unfortunately, the name of this ancient forest has disappeared from its title. Its two main features are the magnificent Sutton Park and All Hallows Church. Village main street before the road through the village was widened. The Parish of Sutton-on-the-Forest comprises of about 6000 acres of mainly flat arable land and consists of a number of isolated farms and the village itself on the B1363 York to Helmsley Road. In 1252, Robert de Nevill whose family owned Sheriff Hutton Castle, had licence to bring 200 acres of his demesne in Sutton into tillage. It remained in the hands of the Nevill family until the 14th century. 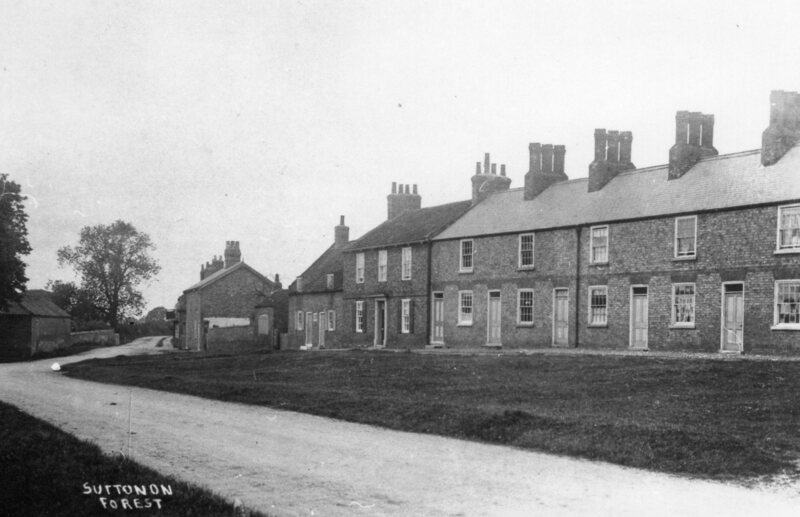 In 1394 Ralph de Nevill granted all lands he had in Sutton to his son, John, but he later changed his mind and the manor of Sutton went to his younger son William, Lord Fauconberg. 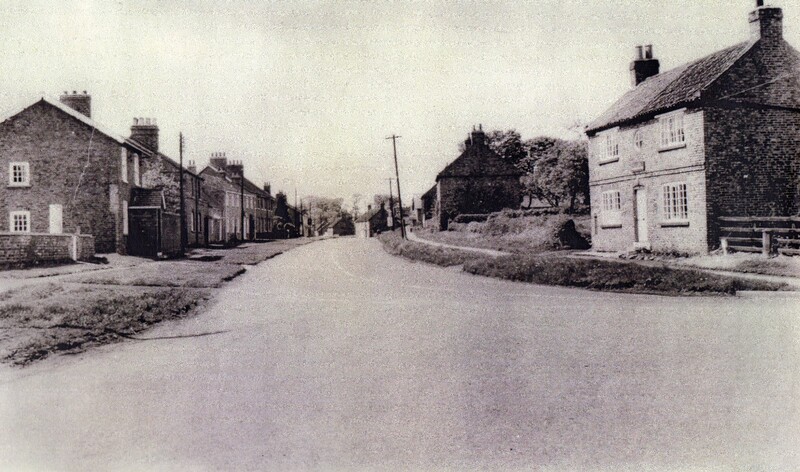 The junction with York Road and the village main street. 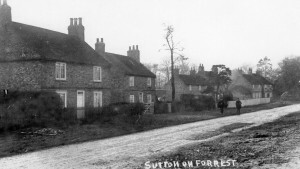 Sutton-on-the-Forest, was the property of the crown, and was leased to different landlords, and in 1629 Sutton was given to the citizens of London! 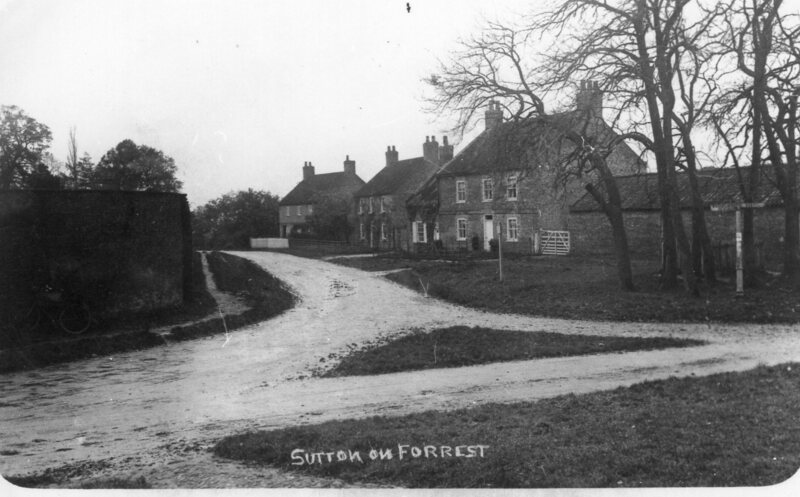 The Parish of Sutton-in-Forest of Galtres is mentioned in the Domesday Book. The Manor of Sutton was held by the King from the conquest until 1633 when it was given by Charles 1st to Norman Belasyse, first Lord Fauconberg. In 1799 Lord Fauconberg sold the Manor to the Rev. Henry Goodricke, husband of Anne Harland for £30,000. It reverted back to the Fauconberg family when the Harland line died out in 1863. 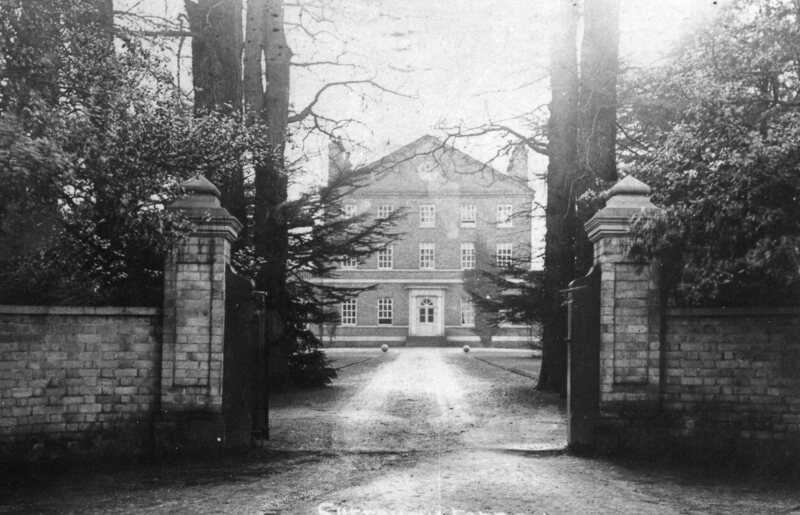 An early owner of Sutton Park (then known as Sutton Hall) was Richard Harland. In 1650 he compounded his estates here. In 1720 the Elizabethan House was pulled down and the present one built which is a fine example of an early Georgian Mansion. In 1963, Major and Mrs Sheffield purchased Sutton Park, and in returning to North Yorkshire with their son Reginald were continuing a family connection the County of the White Rose. Sutton Hall was occupied for a time during the last War by Officers of the Royal Canadian Air Force who flew their Halifax Bombers from the nearby East Moor Airfield. There is a small memorial to the brave airmen in the village. More than 230 operations were mounted against enemy targets over a period of three short years resulting in the loss of over 100 aircraft and 640 aircrew. The immense debt of gratitude we owe them is remembered each year with a short service at the memorial. 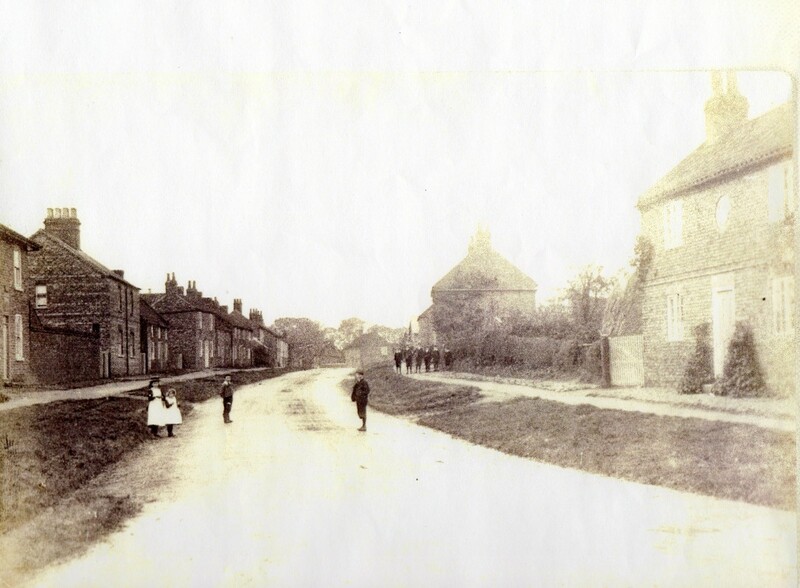 Up to the beginning of the Second World War most of Sutton’s inhabitants were engaged in or connected with agriculture. Now it is an entirely different situation, a very small percentage work on the land and many travel to York and further afield on business. 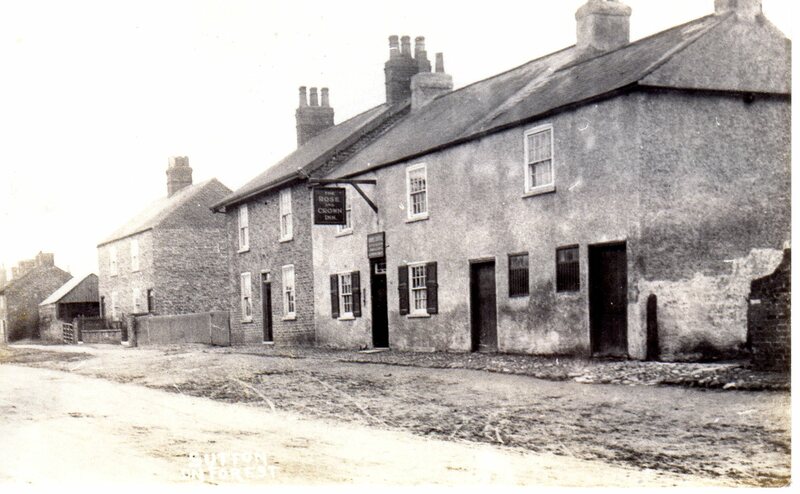 In times past, like every village, Sutton-on-the-Forest was virtually self-sufficient boasting a general store, a butcher’s shop, four public houses, farrier, blacksmith, Post Office and garage not to mention other craftsmen and women. 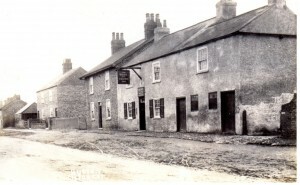 Now only the popular Rose and Crown pub and restaurant remains.